Bhopal is a beautiful city and the capital of Madhya Pradesh. The city is a blend of Hindu and Muslim chic. You can find an essence of diversity in the designs and architecture of different monuments in the city. Whether you talk about the religious spots or historic destinations or artistic places, Bhopal bag them all. Of course, in terms of natural beauty, you will be amazed by the splendid lakes of the city. Just book hotel in Bhopal and explore the richness of this city. 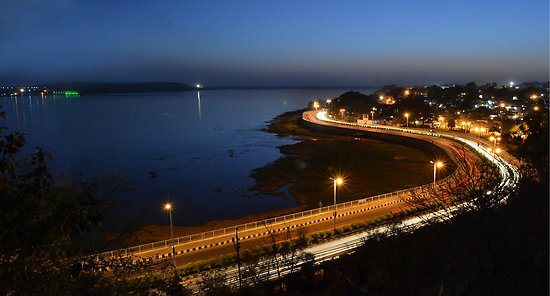 For now, let us talk about the various lakes Bhopal has for you! In Bhopal, you can find many tiny to huge lakes. Among these lakes, some are natural and some are man-made. They attract a huge number of tourists throughout the year. Bhopal Upper Lake is formed by Raja Bhoj of the Parmar dynasty. It is situated in the western end of city. It is a famous tourist attraction in the city and satisfies the drinking water needs of city. According to an estimate, around forty percent city residents were served through the water of this lake that means it was around thirty million gallons each day. The lake is also called Bada Talab. It is one of the oldest water builds in India and was constructed in the 11th century by Raja Bhoj. This huge lake is enclosed by gorgeous regal garden and Kamla Park which makes the surroundings a lot more picturesque. Moreover, this lake is a convenient source of entertainment for the local people as well as the visitors. It is a perfect place to relish water sport activities such as kayaking, canoeing, water skiing and parasailing. Lower Lake is also known as the ChotiJheel or Chotatalaab. This Lake was constructed in the year 1794 with a purpose of beautifying the city. Several of wells which earlier were there around the lake later merged in this lake. The lake gives a panoramic view and the visitors can enjoy beautiful sites. The entire ambience of the lake is very engaging and soothing. You can feel the gusts of refreshing airs and the whole view gets extremely gorgeous during the times of Sun rise and Sun set. Actually, you know the splendid Upper Lake is separated from the gorgeous Lower Lake by an over bridge. Whether you talk about the Upper Lake or Lower Lake, both the lakes are brimming with beautiful sites and vistas. The visitors can also hire motorboats for a ride. Mostly people carry out their walks in these areas and of course, the sites are perfect for people to enjoy some good time with their friends and family. Whether picnic, rides, walks or site seeing, the lakes cater you the chance to do all these things. Thus, take a break from your busy schedules and life of hustle-bustle and carry out a laky trip to Bhopal. These lakes are going to steal your soul too. Just get your rooms reserved in hotels in Bhopal India and enjoy a ravishing visit to these lakes.